Want to impress that special person in your life this Valentine’s Day? Then look no further than Direct2florist – the network that connects flower buyers directly with local florists. Our florists deliver the best Valentines flowers in New Zealand, whether you’re looking for the classic dozen red roses, a simple yet beautiful single red rose, a bespoke romance-filled hand-tied design or something completely different. But what do you choose? After all, Direct2florist’s network of florists across New Zealand has loads of different flowers to choose from. Here’s a guide to sending flowers your valentine will love you for… long after 14th February has passed by. Go direct – by buying via Direct2florist you won’t lose money in commission like you will with other companies – we promise not to take a penny away from your florist - all you will pay is a clear and transparent service fee meaning more money to spend on flowers. Bigger is best at Valentine’s Day, after all! Check the ratings – is your florist any good? All florists in the Direct2florist network across New Zealand have real customer ratings showing how good they are. Individuality– rather than telling our florists to deliver identical Valentine’s Day bouquets we encourage creativity. When choosing your florist you’ll see photos of each florist’s own designs. Plus, if you want something unique, it’s not a problem. Simply let us know what you’re after and we’ll deliver (within reason of course). 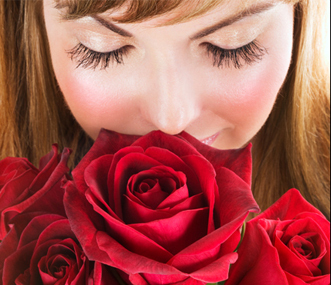 Choice – While red roses are the classic Valentines gift, why not consider other flowers and colours. Pink roses, gerberas, tulips and lilies are just some of the alternative flowers that can be better value. Add-ons – Our florists deliver your flowers with extreme care by hand using professional delivery drivers – there won’t be a cardboard box in sight. To make your gift extra special and to take advantage of this unbeatable delivery service, why not add chocolates, balloons and soft toys to your order. Last minute is not a problem – while it’s best to order early as flowers are in short supply – especially roses, if you’ve left it late to order for Valentine’s Day don’t worry – we can do next day and even same day delivery in most cases. By sending Valentine’s Day flowers through Direct2florist you can rest assured your special one will receive flowers as special as they are. Plus, with florists all over New Zealand including Christchurch, Auckland, Napier, Dunedin, Invercargill, Wellington, Tauranga, Gisborne and all over New Zealand, we’ve got the country covered! In Finland Valentine’s Day is called Ystävänpäivä, which translates into “Friend’s day”. It's more about remembering your buddies than your loved ones.